Although we’re well into summer now, there are still hundreds of festivals yet to come! Whether it’s the pop-up town of Boomtown Fair, the skating and surfing of Boardmasters, the picturesque setting of Greenman or Yorkshire’s favorite Leeds Festival. It seems that the best are saved for last in the festival calendar. So if you’re attending a festival this coming August there are a number of things to bare in mind. Unless you’re glamping you’ll have to invest in a tent (pop-up tents save lives! ), you’ll also need clothes for all weather, baby wipes for the infamous baby wipe shower and, to avoid paying through the nose for food at your festival, a range of snacks and drinks. Whilst the kinds of things you take to your festival depend on the length, facilities and rules at the site, we’ve put together a guide to get you off to a good start. 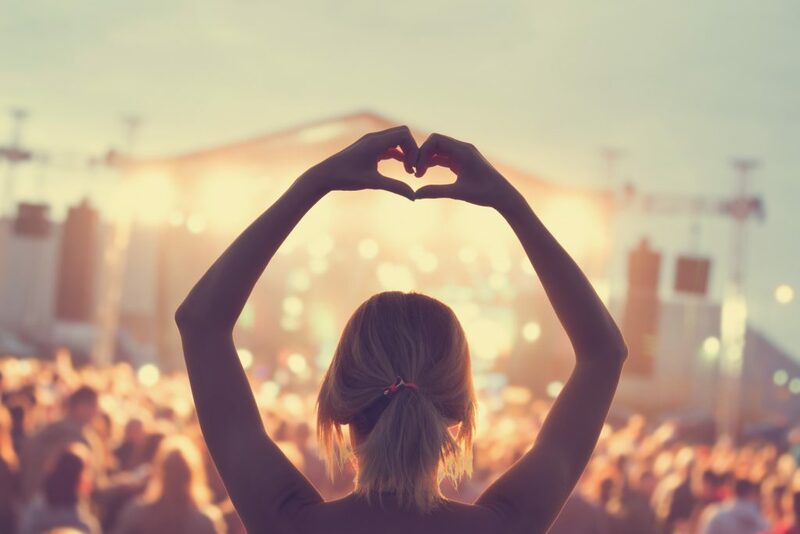 Whether you’re spending a weekend at Creamfields or attending a day event like Notting Hill Carnival, you’ll need to make sure you are well prepared for any messy situation! For most festivals, you’ll no doubt be faced with the dreaded portaloos, so it’s best to take plenty of hand sanitizer. Moisturizing formulas work best if you’re away for the weekend, as normal hand sanitizers can dry your hands out quickly with regular use. You should also take lots of packs of tissues in case the toilet roll runs out. At festivals, you’re liable to have booze thrown or tipped over you, spill sauce down your favourite top or find yourself with muddy legs, feet or clothes. In cases like these what you need is baby wipes, the savior of all festival goers! If you’ve got plans to dance all night or throughout the warm day, it’s also a good idea to take a small roll on deodorant. If you’re headed to a festival for a long weekend it’s a good idea to invest in a portable phone charger. You’ll no doubt need your mobile to keep in touch with your mates and snap some memories, but charging points at festivals are often really busy and could mean a few hours queuing. Instead of taking your fancy digital SLR camera opt for a disposable film camera. They make for interesting photos, but won’t cost you £600 to replace if you lose them! Aside from this it’s best to avoid taking expensive equipment to festivals unless you intend to leave it in the lock-ups, which are usually available for a small deposit or free of charge at most festivals. If you’re headed off for a long weekend, one really useful piece of tech to take to with you is a small portable speaker like the Minirig. 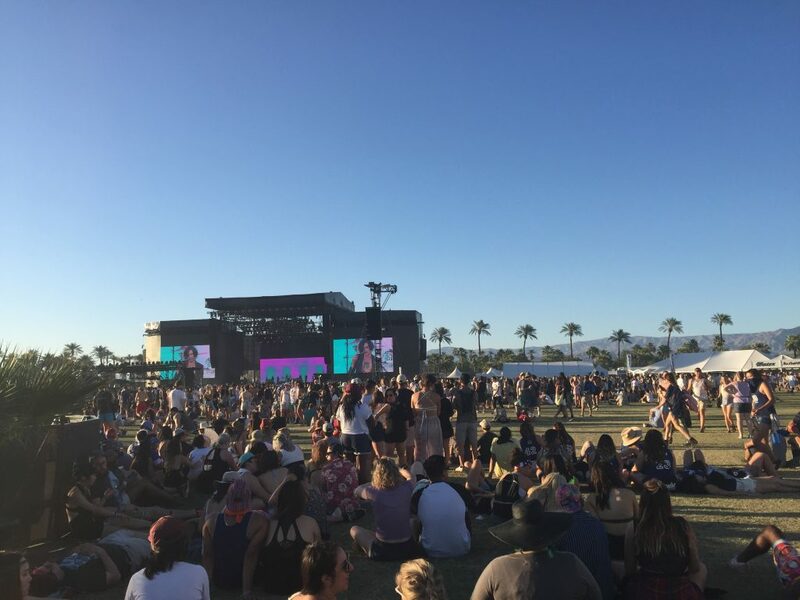 Many festivals prohibit taking alcohol into the main arenas, which means drinking around camp, as well as this you may want to relax few hours in between artists. In this case a portable speaker can be great. If you’re a smoker, it might be worth investing in an e-cig for your festival. They’re more compact than taking a number of cigarette cartons and you can take replacement parts in case of damage. E-cigs are also better for smoking in tight crowds. Where smoking cigarettes may cause discomfort to fellow festival goers in close proximity, e-cig smoke smells great, is less toxic and less invasive. When packing food for a festival you should take non-perishables that can last for a few days without being refrigerated. Juice cartons are lifesavers in the morning when waking up in a hot tent, and they’re relatively compact and easy to pack. Apples also last well, whilst breakfast bars are a great way to start the day. Snacks such as crisps, chocolate bars and nuts may not necessarily be the healthiest, but they will give you that well needed burst of energy for trekking around a festival site! Take a few bottles of water too, as you’ll need these for both drinking and brushing your teeth. If your festival lasts for 3 to 5 days and you’re on a budget, you could consider taking a portable stove to rustle up some noodles or cup-a-soup. However most festival sites have a range of food options and you’ll probably be out and about so frequently that you won’t have time to get the stove going! You should therefore weigh up whether it’s worth carrying. Remember that you’ll most likely have to walk through a few fields with 3-5 day’s worth of equipment on your back, so be smart, pack only what you need and buy food that is easy to store and light. Although festivals are a great opportunity to don your weirdest, most wonderful clothes, the most important thing to remember when packing for a festival is practicality! Don’t pack the kitchen sink! You need a versatile selection of clothes that are fit for a range of weather, as the UK weather is extremely unpredictable. It’s better to pack light layers that you can add or remove easily throughout the day and night. You’ll definitely need a lightweight raincoat and you should take a pair of wellies and a pair of trainers for wet and dry weather. Sandals are a definite no as rain or shine your feet will get filthy and will no doubt get trampled in large crowds. You should take plenty of socks, thick and thin, because the last thing you need are wet socks or ankle socks with wellies! It’s also a good idea to take a fleece or a few warm jumpers to make the transition from day to night. Practicalities aside, there are a few easy tricks you can do to glam up your getup! Face glitter is small and easy to pack but makes the world of difference after a few days of partying. It will brighten you up and get you in the party spirit. Hair braids have also taken the festival world by storm the past couple of years, and do wonders with hair that’s not been washed for a few days! For more fashion ideas check out Glamour’s 2017 festival fashion guide. One of the biggest mistakes any festival goer can make is not bringing the right tent for the weekend. The single skinned option may be cheapest but as soon as it starts to rain it will make for a very soggy shelter! What you need is a double skinned tent with a small porch area if possible, so that you are able to take of your muddy shoes without dragging dirt into your bed. Speaking of bed, you’ll also need a roll mat to cushion the floor, a warm sleeping back and a portable pillow. If you don’t want to be rummaging around in the dark at night, it’s best to take a small torch or portable lantern so that you’re able to get your bearings in your tent. Whether you’re a veteran festival goer or new to the experience, festivals are great opportunities to let loose, get your glitter on and experience something new! Damp clothes, bad bedding or perpetually muddy feet can make or break your festival experience, so to ensure you have the best time get your raincoat, pack your juice and get ready for the weekend of your life!